Journey to the countries of Central Asia – acquaintance with new cultures, customs and traditions. Originality and pronounced national color will give the opportunity to experience the real exotic from the trip. Do one of the most amazing trips in your life in Central Asia together with LLC “Elite tours”. There are 5 countries in Central Asia – Uzbekistan, Kazakhstan, Turkmenistan, Kyrgyzstan and Tajikistan. The peoples inhabiting these republics are connected by a rich common history, the events that took place here were reflected in the entire region. In different historical periods here belonged the possession of the powerful countries of antiquity – Sogdiana, Bactria, the Persian state, the kingdom of Alexander the Great, the Arab caliphate, the Khorezm kingdom, the great power of Genghis Khan, the great empire of Amir Temur. It is not surprising that the ancient monuments preserved in Central Asia are so diverse and unique. Ancient cities, fortresses, majestic structures known throughout the world are the countries of Uzbekistan, Turkmenistan and Tajikistan. Samarkand, Bukhara, Khiva, ancient Urgench, Khujand, Penjikent will become a real find for curious tourists. But not only architectural monuments are popular in Central Asia. Each of them has unique natural and climatic conditions. High mountain peaks of Tajikistan, covered with snow – a favorite place for fans of extreme recreation – climbers, skiers. Issyk-Kul – the treasure of Kyrgyzstan. A huge lake with magnificent beaches, healing mud baths, mountain ridges surrounding the lake, creating the impression of infinity and serenity is a real paradise, even for the most fastidious tourists. All the delights of the pristine nature can be seen in the Zaaminsky National Park of Uzbekistan. The capital of Turkmenistan and Kazakhstan – Ashgabat and Astana – are distinguished by modern architecture. These are real examples of a modern metropolis – high-rise buildings, unusual structures, many attention-grabbing elements in the design of streets and squares, such as spectacular fountains, sculptures make the appearance of cities unrepeatable. 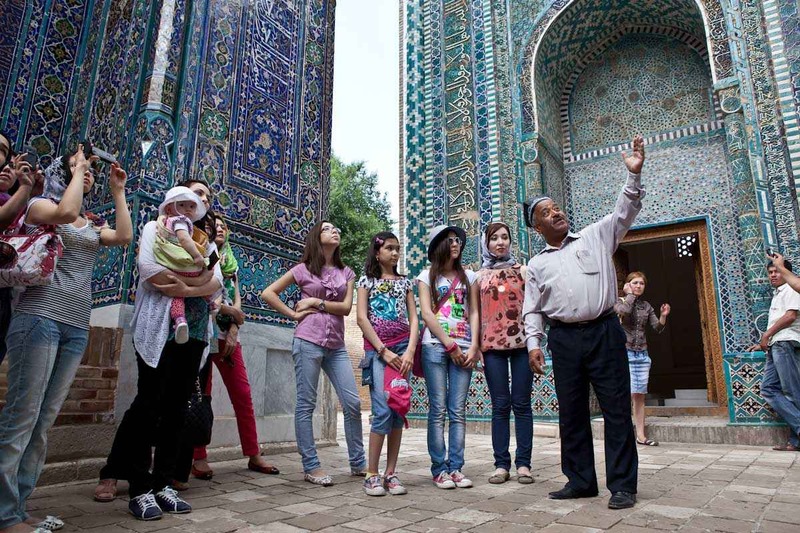 Become a participant in a large-scale tour of the countries of Central Asia together with LLC “Elite tours”, enjoying every moment of your stay in the unique countries of Asia.